ANAKONI ALSO KNOWN AS AKONI IS OUR NEWEST ADDITION TO THE HKK FAMILY. HE IS AN XL/2XL LILAC TRI COLORED MALE THAT WE ARE SO PROUD TO HAVE. HE IS PROTECTIVE OF ME AND HIS LOVED ONES AROUND HIM. HE IS MY HOME SECURITY AND WILL LET ANY STRANGER KNOW THAT THEY WILL NOT BE ALLOWED IN MY HOME WITHOUT PERMISSION. HE IS A BIG BABY THAT IS LOVED BY 4 YEAR OLD RYLIE WHO SEES HIM AS HER BESTIE. WE HAVE RAISED THIS BOY SINCE HE ARRIVED FROM CALIFORNIA AND QUARANTINE AT 10 MONTHS OLD. 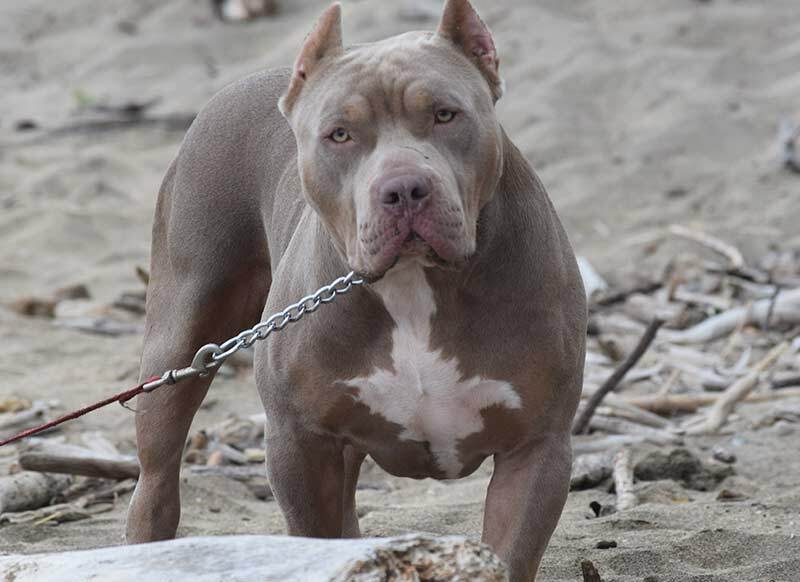 HE IS THE PERFECT AMERICAN PIT BULL TO HAVE IN YOUR FAMILY. THIS IS HIS YEAR AND WLL BE BRED ONLY TO OUR FEMALES. STUD SERVICES FOR AKONI ARE CLOSED AT THIS TIME UNTIL FURTHER NOTICE.